After Prime Minister Nawaz Sharif’s meeting with Jack Ma, the founder of Alibaba, during World Economic Forum in January this year, company executives now visited Islamabad. The e-commerce giant Alibaba delegation has been apparently impressed with Pakistan’s progress in the field of IT and Telecom. According to them, Pakistan’s e-commerce market is growing remarkably and has numerous opportunities for the masses. During their official visit to Pakistan, the officials met Ishaq Dar, Minister for Finance alongside holding other meetings. Alibaba along with showing interests in entrepreneurs and small scale businesses, was also reported to be in talks with Daraz.pk for a possible acquisition. 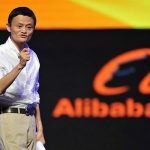 Alibaba plans to become the largest e-commerce player in Pakistan with the help of $150 million or around buyout of Daraz. Acquisition of Daraz is going to prove a mile stone for Pakistan’s e-commerce industry. Daraz is currently ruling the country’s e-commerce platform. They have cut the margins to lowest possible levels and their strong advertisement campaigns are able to bag half a million hits per day. Members of the delegation expressed a satisfactory attitude over the digitization in Pakistan and appreciated efforts for the development of e-commerce sector.